Situated on the River Clyde, Dear Green Place (or Glasgow, if you like) bears traces of the past greatness and wealth with its stunning Victorian facades and well-kept quays. In the recent years, the city has emerged as Scotland’s finance and business hub. Many companies made Glasgow their home including House of Fraser, Lipton, Optical Express, Clydesdale Bank to name but a few. To get inspired your next office move up North, we’ve picked 5 state-of-art offices located in Glasgow. Located in the prime spot in Glasgow, 310 is a landmark building featuring terraces with a view of the old town. The building has undergone a careful restoration in 2017. Surrounding occupiers include Santander, KPMG, Whyte & MacKay, Registers of Scotland and the Scottish Power Headquarters. 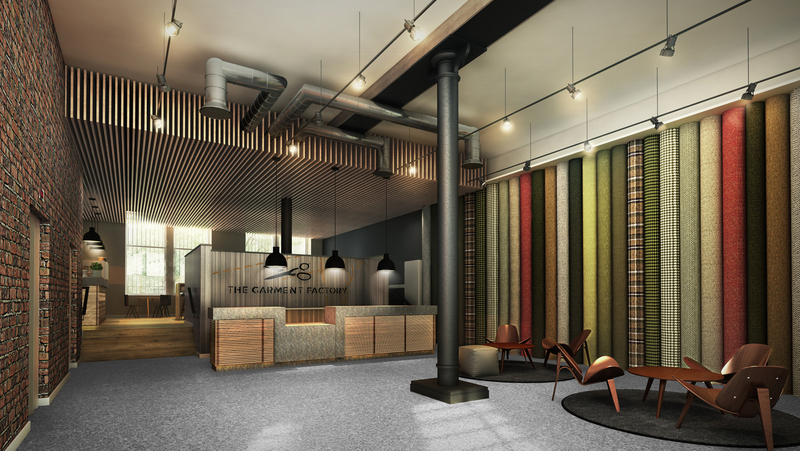 This stunning, full of character office space based in the Garment Factory - former textile factory. The building embraces its colourful history with a stunning double-height reception space decorated with ornaments inspired by its merchant past. The office interior has a modern industrial feel featuring brick walls and exposed beams. 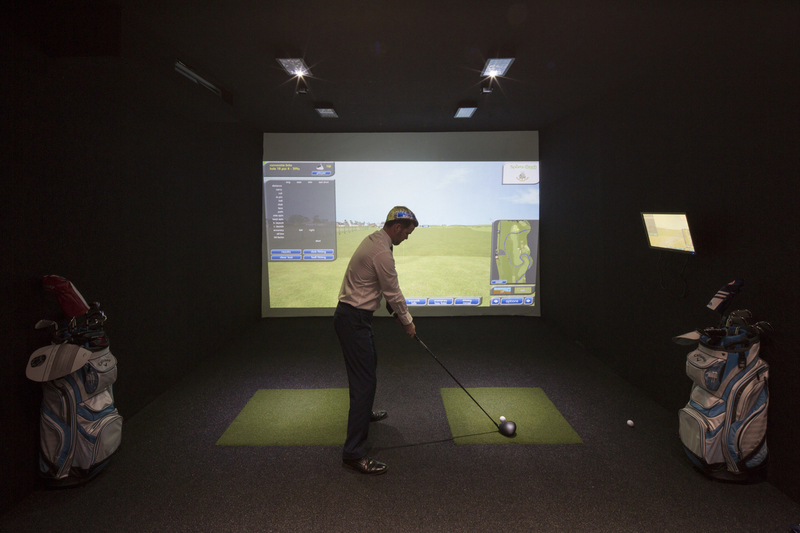 The tenants benefit from additional facilities like basement cycle storage and showers. This iconic Art Deco building is a real stunner. Carefully restored to its former glory, The Reel House features a communal roof garden and a private balcony on the third floor. The building is located at the junction of West Regent Street and Renfield Street and surrounded by many popular bars and restaurants. It’s a perfect spot for an after-work drink. Located on the banks of the River Clyde with a view on the Pacific Quay, The Hub is a digital innovation, creative, media and business community close to BBC Scotland. The space features a large communal space with plenty places to work from. 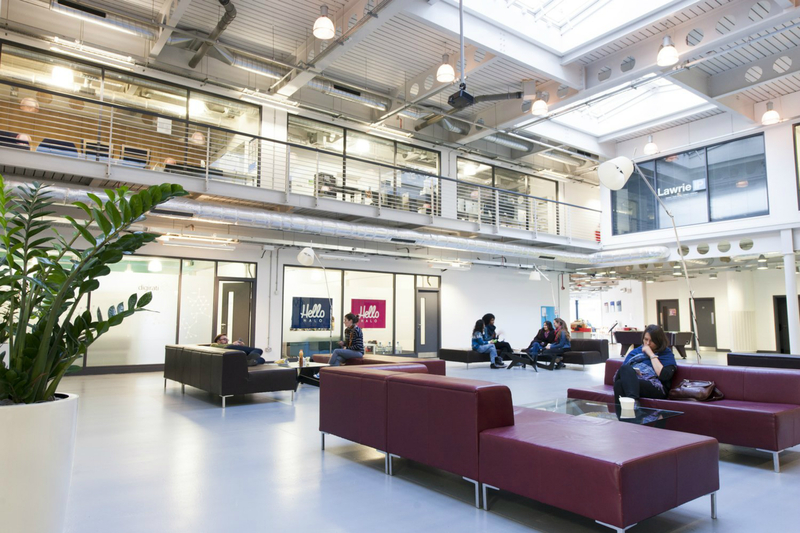 The space is a perfect fit for creative and media agencies. The vibrant decore can get your creative juices flowing. 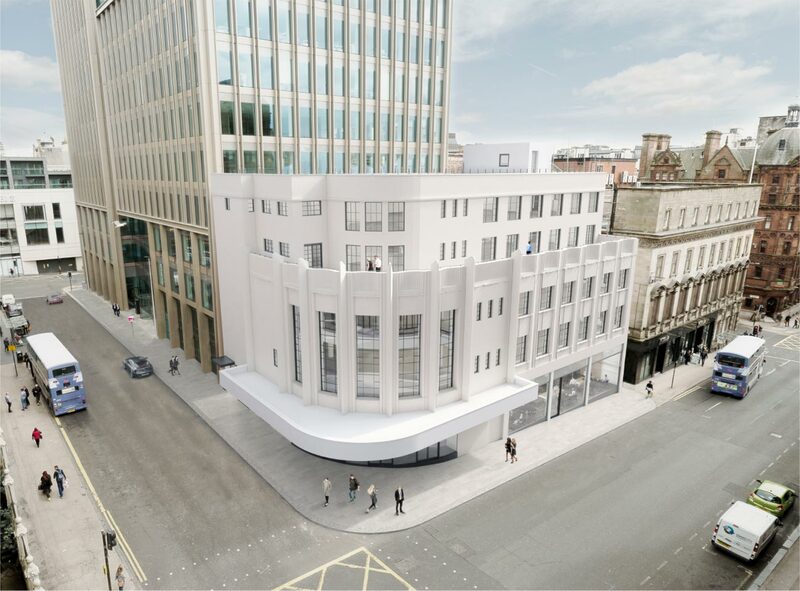 This stunning newly refurbished Grade A boutique office space is up for grabs in Glasgow City Centre. The building is located within a 3-min walk to Glasgow Central Station. Surrounded by many coffee shops, bars and lunch places, it's a perfect office location to attract talent. 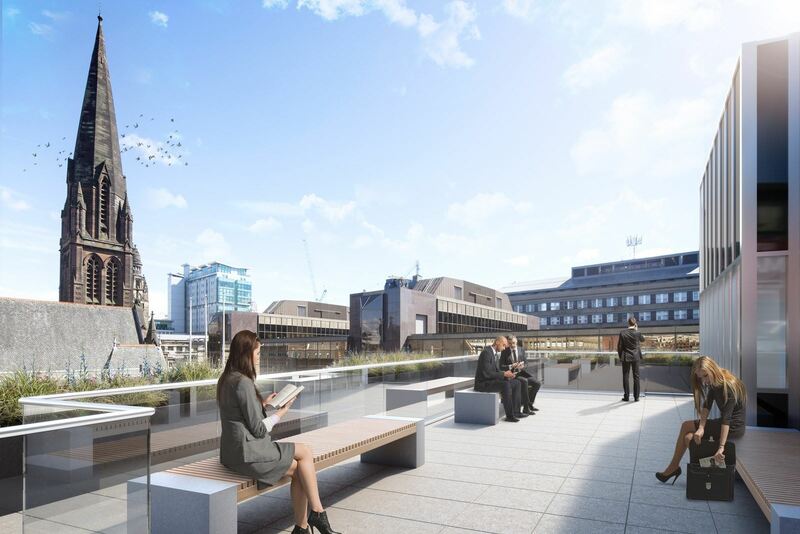 The office comes with access to a roof terrace, a state of the art golf simulator, cycle racks & showers with Bluetooth speakers. Upon arrival, your guests will be welcome by a stylish modern over-sized reception - a great first impression. To see all Glaswegian offices available to let, click here. For office spaces for sale, check here.